Marge was born to George and Catherine Bauer Lebre on May 22, 1937, in Dixon, Illinois. Marge lived in Dixon with her parents and was the oldest child, with 4 sisters and 2 brothers, attending St. Mary's Grade School and Dixon High School. She soon met Bill Wallace of Colusa County, California at a Young Republicans event, who would become her husband of 51 years. They married in 1967, after he continued to woo her with his charm. Marge moved with Bill to the Wallace Farm, and quickly thrived in the country, to the surprise of her city friends. Marge and Bill farmed and raised 5 children: Mary, Patty, Bill Jr., Kathleen, and Steven. Marge played an integral role in the family's farming operation managing the books, raising children, and supporting Bill. A visitation will be held at McNary-Moore Funeral Services on 107 5th Street, in Colusa on Thursday, April 11, 2019 from 5-8pm with a rosary at 7pm. 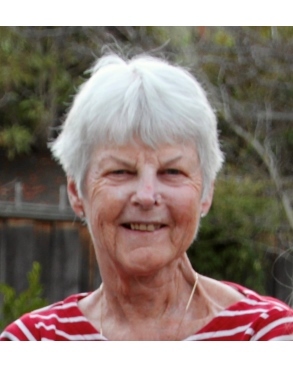 Services will be Friday, April 12, 2019 at 11am at Our Lady of Lourdes Church on 345 Oak Street in Colusa, with a celebration of life to follow.